My name is Wei Si. 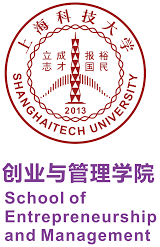 I am an Assistant Professor at the School of Entrepreneurship and Management, ShanghaiTech University. I gained a Ph.D. in Economics at the Department of Economics at Stockholm University in 2018. My main area of research is Applied Microeconomics, focusing on topics in Labor Economics, Development Economics, and R&D, etc. My current research interests lie in understanding the mechanism behind knowledge production and studying factors that influence the productivity of knowledge producers. I am also working on evaluating the effects of public policies on labor market outcomes and socioeconomic impacts in developing countries. For my full CV, please click here.